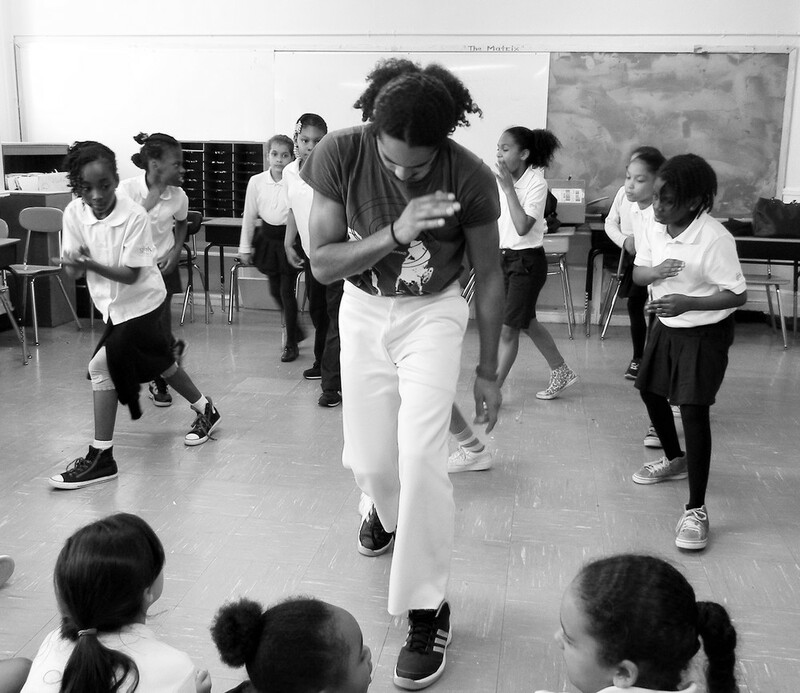 In 2012 Afro Brazil Arts raised $4212 to bring capoeira programs to children in under served schools. 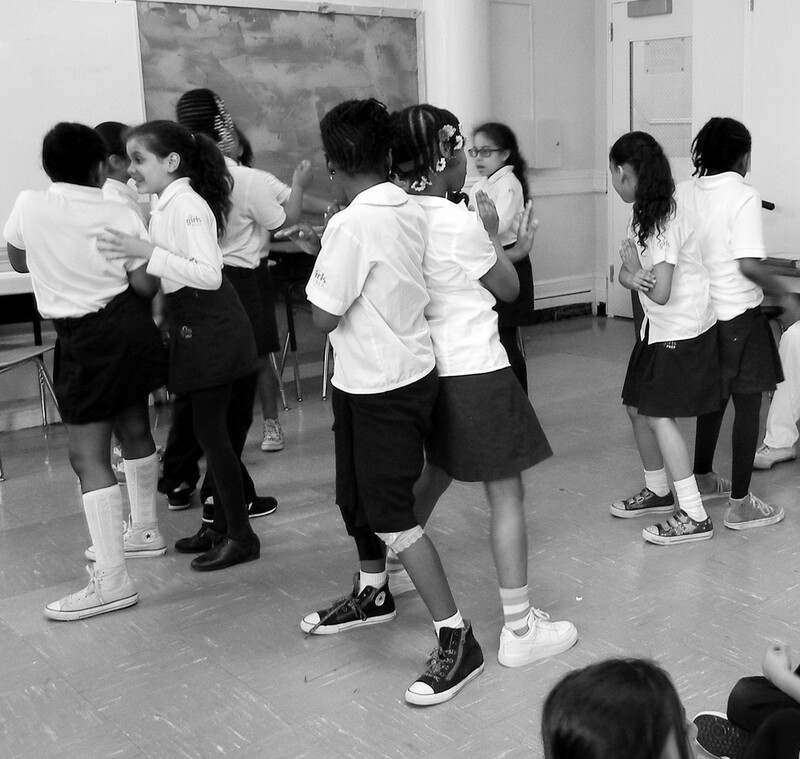 In May and June, 2014, The Lower East Side Girls Preparatory School (LES Girls Prep), hosted a month long capoeira residency with ABA culminating in a performance with all 75 3rd grade girls before their peers, their parents and their teachers. 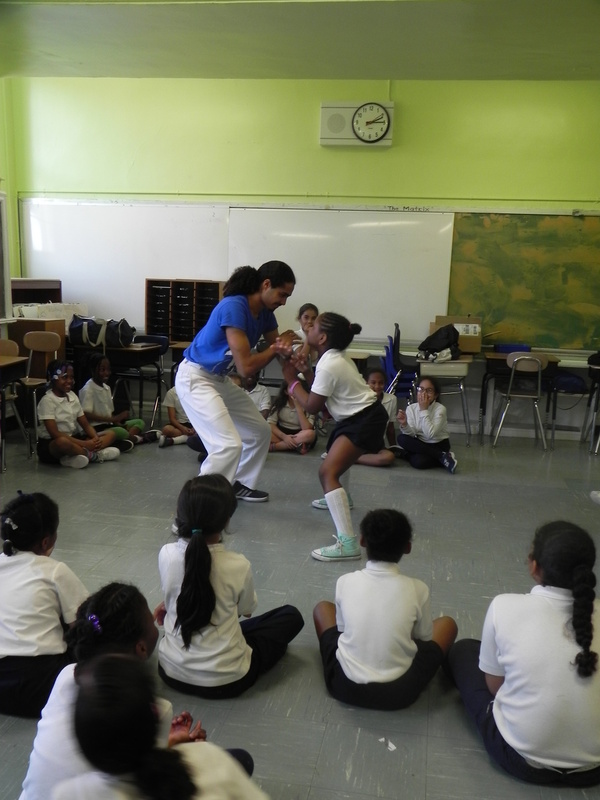 The LES Girls Prep has been bringing their 3rd grade classes to CAQ Academy for 2 consecutive years to experience capoeira in the academy. The program was a huge success and following are moments and testimonials from the participants. 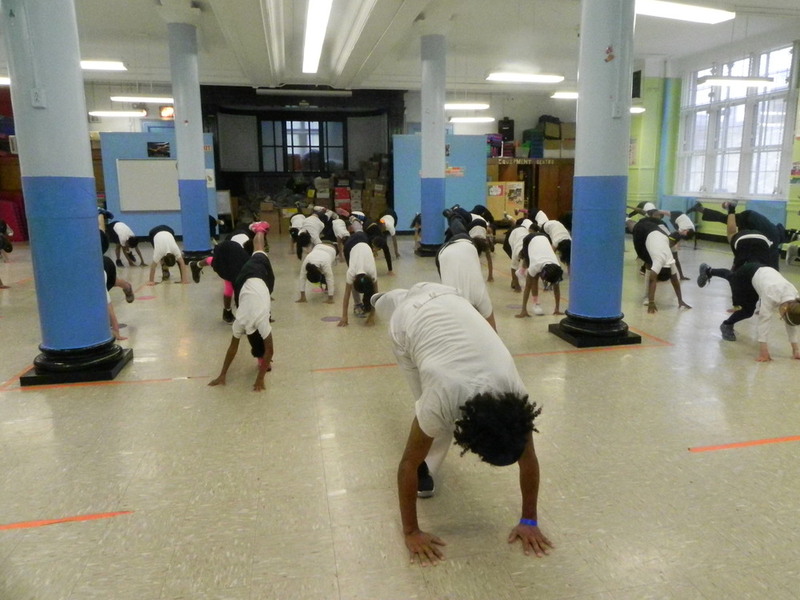 Please contribute to the New York Capoeira Center Renovation Project to help us continue and grow our children and adult programs. Is there anything you would like to say to Mestre Ombrinho and Raposão? Thank you for teaching us capoeira and songs. This has been a great experience for me! 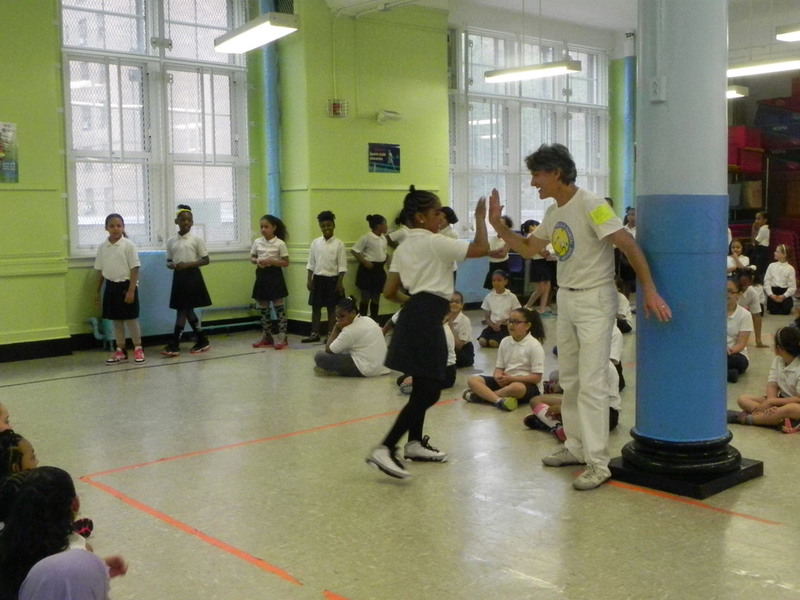 Thank you for teaching us about capoeira and the culture of Brazil. Thank you for telling us how capoeira became how it is. Thank you for teaching me a lot of stuff and it was like an adventure with you guys and it was a great experience. Thank you so much. Thank you for coming and teaching us how to do capoeira. I hope you come back next year. And I love when you were teaching us the music. Thank you for spending your time with us. I would like to say thank you for coming to our school and teaching us. I really am interested in capoeira. You are so generous. Also thank you for our show and teaching us to always believe in ourselves and to try until you get it. Thank you for coming here and teaching us how to do capoeira. I appreciate you giving your time so we could learn. Thank you so much. I would like to say thank you for teaching us new things like music and cool moves. You actually took time to teach us new things. Thank you. I want to say thank you because when we went on the trip [to the academy] we really wanted to learn more and now you came to our school to teach us more. I would like to say thank you and for you to come back. I would like to say thank you because this is a real fun opportunity and I loved it. Thank you for coming to the school and teaching us moves. I wish you came back next year and work with -fourth grade so I can learn more. Thank you for everything. I would like to say thank you for the classes and I had so much fun, especially moving and singing because I got to spend more time with my class. Thank you for teaching me, Mestre Ombrinho and Raposao. You showed how much you cared about the three third grade classes. Also, thank you for teaching me focus, discipline and respect. Thank you for taking some time out of your schedule to teach us some capoeira and teaching us that we needed to have lots of FDR, which means focus, discipline and respect. I would like to say thank you because you tried your best to teach us how to do the moves and songs from Brazil. Thank you to Raposao for doing the moves slowly so we could follow along. 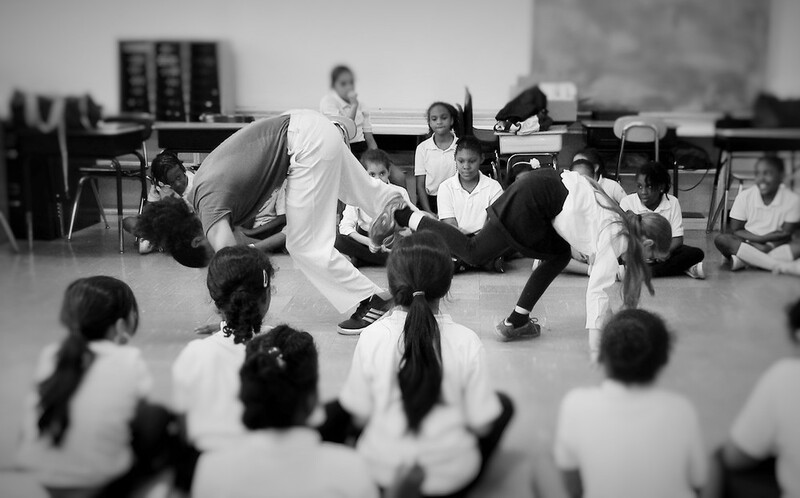 What were your five favorite things about learning capoeira? I did a hidden fight. I got to sing songs. I got to be with my friends. I got to try new things. Watching my friends in the show (great job!). Everyone trying to do the hard moves. I liked learning the FDR. I liked trying to do the cartwheel. We got to learn new songs. We got to learn a new dance. We got to learn FDR [Focus, Discipline and Respect]. We got to learn how to do a cart wheel. What three valuable things did you learn from capoeira? One thing is learning new songs in Portuguese. Another thing is very difficult moves. And getting to demonstrate moves to the class.